StillAd.com is brought to you by The Simple Way to Find London Office Space! London's property market has - for the last decade or so - been in good health. Even when the rest of the UK was suffering a correction in property prices, if not a downright slump, the capital fared much better. Many of the prime real estate sites in West London and the City rose in value at astonishing rates, partly driven by overseas investment, principally from the Middle East and from Russia. Dwellings saw the strongest rises in value, with perhaps the exception of the heart of the City where commercial property values kept up with them. In East London, on the other hand, the picture is a little less straightforward and takes a little more explanation. There have been, for example, some areas of the eastern side of the city which have seen both retail and office premises values boom, just like the West End. Nevertheless, some parts of East London have fared less well and - even if they have not gone backwards - have failed to offer the same growth returns. It largely depends on where in East London you happen to be looking. Of course, there have been some major projects in East London over the course of the last ten years or so, and there can be little doubt that these have had a huge affect on commercial property values. The East London Line, which connects the Underground network to the Docklands Light Railway on an over-ground line was extensively refurbished and expanded in the years running up to and including 2010. Shoreditch High Street and Hoxton both received brand new stations and it is fair to say that, as a result, commercial property prices in both areas soared. Even before the infrastructure project came to a conclusion both Shoreditch and Hoxton had become the latest trendy parts of town with bustling bars and creative industries starting up in office space - some of which had been unlet for years beforehand. These days, occupancy rates are high, rental yields are high and the whole area has a very different feel. Of course, close proximity to the City of London in this part of the capital, along with its improved communications, means that future growth is likely to continue. If you need to see what the future is going to be like in this part of East London, just look at the blueprints for Avante Garde, a 74 metre tower which will contain no less than 257 apartments, which gained planning permission in February 2014. Building upwards is a sure sign that land values are on the up and the expected price tag of the building's £3 million penthouse may make many other developers think in similar terms. The London 2012 Olympic Games brought a great deal of change to East London, not least the light industrial units that formerly occupied the Olympic site. Much of the industrial nature of the area has dispersed in favour of quality housing, but retail spaces in the vicinity have gone through a massive change, too. The introduction of Westfield's massive shopping complex in Stratford is just part of the changing picture, not least because it was entirely funded by private capital. In part because of Westfield, high-quality brands are now drawn into the area, which traditionally they tended to avoid. Part of this is again down to the improved travel communications available at Stratford's station which was upgraded by the government in time for the games. According to government data, collected as a means of judging the legacy of the Olympic project, from 2006 commercial property values grew in nearly all parts of the East side of the capital, particularly in those boroughs where the Olympics were to have an impact. 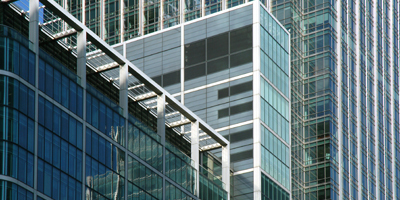 Between 2003 and 2005, the commercial property market had been flat in Newham, Greenwich and Barking and Dagenham. In places like Hackney and Tower Hamlets negative growth - although relatively minor - had been the story. Nonetheless, by the time building for the Olympics was in full swing, property values rose significantly, even if rental prices didn't always reflect this change. An example of the most turbulent changes in rental pricing can be seen in Tower Hamlets and Hackney, both of which followed a similar trajectory. In both boroughs, rental values increased steadily from 2003 and then fairly rapidly after 2005. By 2007, the rental prices demanded had peaked at a high of around 22 per cent more than those seen in 2003. However, in late 2007 - just as the credit crunch took hold - rental values fell almost as quickly. By 2010, they had returned to just 7 per cent over the 2003 values before then increasing once more today's values. In Barking and Dagenham, by contrast, rental yields grew in a much steadier way in the same period, perhaps down to the fact that this borough enjoys better road links, being closer to the M25 motorway.